I am joining Courtney and all the other ladies from Women Living Well http://womenlivingwell.org and doing the Valentines Marriage Challenge. For me this week is proving to be a challenge as it is about praising our husbands. I am very fortunate, my husband doesn’t disappear to the pub for hours on end every night. He doesn’t shout at me or call me names. He is hard-working and is very good with his money. I know that we have savings for a rainy day, university for the children and our retirement. He is good with the children and is generally very patient with them. So what’s the challenge you might ask??? I am not naturally a person who notices the good qualities in a person. I am quick to notice a persons faults but slow to notice their strengths. My primary love languages are Quality Time and Acts of Service. While he’s never read the book or answered the online questionnaire I believe that hubby’s are Words of Affirmation and Physical Touch. So this challenge is perfect for me as it will challenge me to see my hubby’s strengths and to actively find ways of expressing praise to him. (My challenge with praise is that it can feel false or not genuine.) So I need to praise him/ encourage him/ affirm him in a way that he understands and in a way that I feel is genuine. How am I doing so far??? Ok I’m not doing so well. I’d better go and research some ideas about how I can speak into his Love Language and affirm him. This really is going to be a challenge! If you are doing the challenge, let me know how it is going. Or leave a comment below about how you affirm or encourage your spouse. 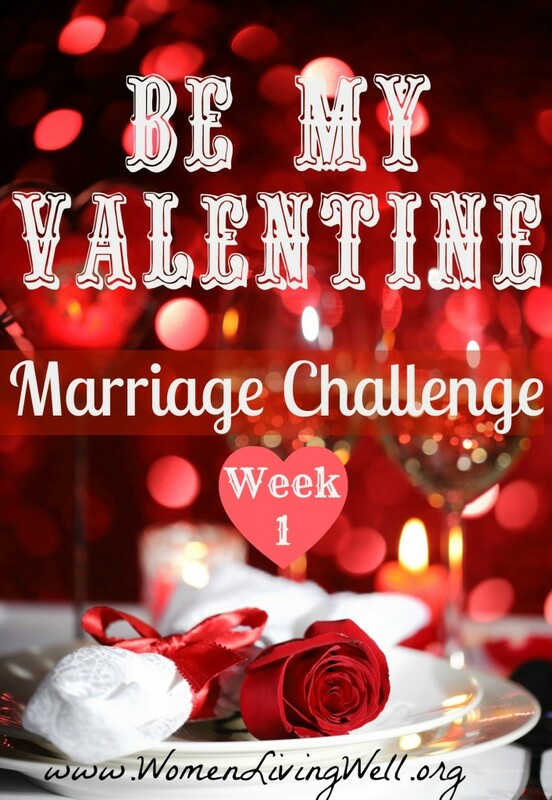 This entry was posted in Growing as a person, Marriage, Relationships, Somedays and tagged encouraging spouse, love languages, Marriage Challenge, Valentines Day. Bookmark the permalink.